Like the warnings on cigarette packets – whistle blowing may be hazardous to your health. HBOS chief risk officer Paul Moore blew the whistle on the bank’s risk exposure and lost his job. Last week, the UK Treasury Select committee heard allegations from Moore ( who was sacked by Sir James Crosby in 2005) – that senior executives ignored repeated warnings about excessive risk-taking. Following the political firestorm – Sir James Crosby has left his position as deputy chairman of the UK Financial Services Authority. 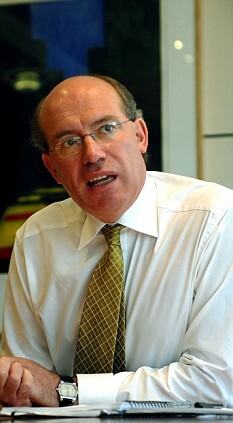 Crosby was a close adviser to prime minister Gordon Brown, and former HBOS CEO – leading HBOS during a period of high-rolling profits. Are there sins of hubris at your company – let me know! It appears that chief executives at the big banking institutions like Lehman Brothers and AIG were totally out of touch with the realities of risk management. Out of touch to the point where out of hubris – they were probably not even listening to the Cassandras in their organizations. When your’e flying a private jet, taking home $10M in bonuses and staying at the premium class hotels – it’s tough to relate to bearers of bad news and it’s even harder for a middle manager to gain access to the big guys and sell a case that toxic assets, data breaches and and internal fraud that could kill the $10M bonus.